About Miriam Maron - Rabbi Miriam Ashina Maron, R.N., M.A., PhD. Rabbi Miriam Maron, Ph.D., B.S.N., R.N., M.A. is the author of Moon Wisdom: The Kabbalistic Wheel of Astro Mystery and Its Relationship to the Human Experience, and co-author The Invitation: Living A Meaningful Death. She holds a BSN from the University of Pennsylvania and is a Registered Nurse with a Masters from the University of Southern California. She also holds a Doctorate in Kabbalistic Healing and is an active member of the University of Pennsylvania Alumni Interview Committee, responsible for screening potential applicants on behalf of the university. 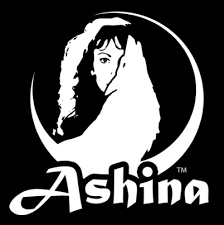 An ordained Rabbi, Miriam Ashina also serves on the board of directors of Walking Stick Foundation as its Director of Operations and is the Founder and Director of Ashina, dedicated to the recovery of the shamanic traditions of the Jewish Khazar tribes of the early middle ages. A spiritual healer and mentor in private practice, Miriam also performs sacred dance and teaches intensives on Jewish Kabbalistic and Shamanic Healing modalities and has facilitated workshops and retreats across the U.S., Canada, Europe, and Israel on healing and mind, body, and soul integration. Her private healing work incorporates Kabbalistic modalities of healing as well as ancient Hebraic astrology. A prolific singer and songwriter, her concerts, as well as her albums, "Wings of Light", "Light out of Darkness", "Chants of the Sacred Four", "Mystic Convergence", "Surrender", "AngelSong", "Call from the Narrows" ,"Bliss of Spirit", "Ancient Eight" and a Cover for Jewel’s song "A Life Uncommon" feature Jewish healing and mystical songs, Qirtan and chants, and have received wide acclaim from interdenominational sources across the globe. Her music is distributed by New Leaf Distributing Co., Lithia Springs, GA, as well as various book and music stores around the U.S., and on-line sites such as Amazon.com, Apple Music, iTunes, CD Baby, Spotify, Oy Songs, and this website. Miriam is also a contributing author to several scholarly anthologies: Her chapter titled She'cheena: Mother of the earth -- Recovering the Hidden Teachings of the. Feminine Face of God appears in the book Understanding God: Jewish Perspectives, Ed. Steven Kaplan [Lambert Academic Publishers]); and her chapter titled Jewish Modalities of Illness and Healing appears in the book Jewish Healing: Systems and Practices, Ed. Steven Kaplan [Lambert Academic Publishers]). 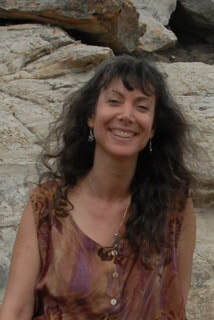 She has also written scholarly articles on healing, Jewish Shamanism, and Kabbalistic themes which have been published in both national and international publications such as MOMENT, a magazine of Jewish politics, culture, and religion, where she was featured in the column "Ask the Rabbis" on the subject "What healing alternatives to modern medicine does Judaism offer?" (February 2007 issue). Her article on "Jewish Shamanism and the Power of Chant" appeared in EVOLVE, a leading nationwide magazine of evolutionary people and ideas (Vol. 7, No. 2); and her article on "The Healing Power of Sacred Dance" appeared in TIKKUN, a worldwide publication on cutting-edge spirituality (March/April 2010). Rabbi Miriam was also highlighted as a noted musical artist in MOMENT Magazine's Annual Music Guide (July/August 2010), and received a beautiful write-up in YOGA Magazine (Issue No. 80). She was also featured in the Israeli magazine HAVRUTA, a Journal of Jewish Conversation (Vol. 2, No. 1), and in the documentary "Sacred Rituals" by Grammy-Nominee Dr. Douglas Lawrence, Chairman of the Communication Arts Department at Marywood University. Her article "The Missing Ingredient" was featured in TIKKUN Magazine's Special 25th Anniversary Issue. Rabbi Miriam has also led and taught several Jewish Mystical Tours across Israel in 2006 and 2007, under auspices of Walking Stick Foundation. She was involved in planning, coordinating, and teaching these special educational tours of ancient sites which drew interdenominational participants from across the U.S., Canada, Australia, and Europe. Miriam's rendition of a traditional Hassidic melody that appears on her CD Wings of Light was selected as a major segment of a motion picture soundtrack for the foreign film "Black Prince", a drama based on the illustrious biography of the notorious 19th-century Russian poet, Pushkin. The film won First Prize at the New York Independent Film Festival in 2005. In the twilight hours of Friday November 3, 2006, in an open, outdoor ceremony, Miriam Maron was initiated into the ancient title of Ra’vee’na, a title conferred upon a few select spiritual teachers and healers in the Jewish tradition, the last known ones being rabbis Ra’vee’na, A’shee, and Ra’va in the Fourth Century, and a woman known as Ey’ma D’Abaya in the Third Century. Ra’vee’na, or Ra’vee for short, was a title given to those who by their teachings, ceremonies, channeling and other means, demonstrated keen spiritual healing abilities and exemplified the capacity to nurture and un-block people’s personal processes, moving dormant potential toward fruition, stagnation toward unfolding. Over the past thirteen years during which Miriam has in those very ways effected the lives of many across the US, Europe, and Israel, she has demonstrated again and again her deserving of this initiation. The initiation included a ritual immersion in living waters while facing West, accompanied by special prayers and the calling of the ancestral keepers of this sacred designation. I recall how as a young mother of two (one of whom was still an infant and still being breastfed at the time) I had my hands quite full. I had been continuing my studies in the mystical tradition of our people, known as the Kabbalah, throughout my pregnancies, and felt the openings of the worlds, having had the honor of giving birth. I felt compelled to give of myself in the work of bikkur cholim. This phrase is often translated as visiting the sick, which is powerful enough in that it conveys the importance of visiting those in need, whether sick or dying. If we look at the meaning of these words on a deeper level, they also translate as Discerning the Dreams, as in exploring the imagery that is conjured by our encounter with illness or our approach toward death. In the Judaic Shamanic Wisdom path, it is then not solely about visiting the sick, but also visiting the sickness as well. In my private healing work that is very much the approach I work with. Both I and my client gently embark upon a journey where we dream together, visit the issue together, explore the wisdom of the imagery we both encounter. No one should be alone in illness, dying, mourning, let alone life's challenges. This is the essence of bikkur cholim, and it is often a walk in realms beyond, across the threshold of portals otherwise inaccessible. My introduction to non-conventional modes of healing ironically began while I was working as a Registered Nurse on an ENT (Ear Nose Throat) unit in a well-known hospital in Philadelphia, Pennsylvania. One day, during my rounds, I was shocked as I witnessed a patient smoking a cigarette in the lounge through his tracheostomy (an opening surgically created through the neck into the trachea, A.K.A. the windpipe). This man had cancer from years of smoking and had just undergone surgery only a few days earlier. I realized at that moment that as a health practitioner in my position I could not reach people early enough. I wanted to spend more time with patients and make a heart to heart connection. I decided then and there to pursue preventivemedicine and entered a graduate program in exercise physiology at the University of Southern California. This process was very rewarding for me, and fit well with my desire to help people live a healthier life, rather than focus on treating them solely physically without time to address other aspects and levels of their path. Around the same time, I also started a practice working with both individuals and corporations to create various training programs and exercise prescriptions. However, I still yearned to help people explore deeper aspects of their motivations and illness. That opportunity came while studying spirituality and mysticism with several spiritual teachers, including Rabbi Jonathan Omer-man, at Metivta: A Center for Contemplative Judaism, based in Los Angeles. At the time, Metivta also served as a healing center and I volunteered for its program of outreach to those who were ill. I found this work to be very fulfilling and also led the chanting and singing for the Bikkur Cholim Support Group. We would meet regularly to share experiences, brainstorm regarding any impediments in our visits, and offer emotional and spiritual support as well as inspiration for each other. One afternoon, I received a call through Metivta and was asked to visit a woman who was very ill and comatose. I was particularly busy that week with numerous family and professional obligations, and my first reaction was to ask for someone else to make the visit. While the phone was still in my hand, I searched my soul and knew there was a deeper reason I was being asked, so I accepted the request. While on the way to visit Sharon, I was listening to niggun (wordless melody) that I hadn't heard before. I began to sing along and learn this niggun while praying for guidance on how to bring Sharon comfort and healing. When I arrived at the Intensive Care Unit, I paused to meditate, clearing my mind in preparation for the visit. As I entered the room, I felt a thickness in the air. Sharon was in a coma. She lay in a fetal position with her limbs tightly contracted. She was connected to life-sustaining and monitoring equipment. Seeing this precious person with all the equipment around her and connected to her, I felt a seclusion of body from soul. My reverse isolation gown, mask and gloves might have further created barriers in a physical sense, but only if I allowed it. I put my gloved hand on her delicate arm and within moments, I felt compelled to sing to her. I received this guidance and began to sing various prayers, Yiddish lullabies, and the niggun that I had just learned while driving to the hospital. Soon after I had begun to sing, I was shocked to see this lovely lady open her eyes, slowly turn her head and look deeply into my eyes. It was as though our souls joined in that moment. I will never forget the soul-to-soul connection that I felt. She then began to tear and tried to open her mouth in an attempt to speak, sing or cry out, but she was intubated (an endotracheal tube inserted through the mouth and into her trachea for mechanical ventilation). Actually, Sharon did not need to use words, she communicated from a much deeper place than words: her heart. I felt a great shift occur for both of us. As I looked into her eyes, I saw angels surrounding her soul. At that moment she looked into my eyes and I was given the gift of being able to join with her and her ancestors. Life would never be the same after this moment in time, and, in fact, it never was. In those moments, my vision opened as my experience of multidimensional space expanded. I gained a deeper understanding of what my soul's purpose was during my sojourn here on Earth, but without a doubt most important was showing up and being present to help someone in a time of great need. I continued to visit Sharon in the days that followed. During those visits, I sang again and the response was the same each time, yet with a little less energy as she was slowly transitioning to the next world. At one of the visits she moved deeper into transition. Music is usually wonderful for this stage, but on that particular day I needed to be with her in silent prayer instead. As I spoke to her softly of the World-to-Come and of angels, one of her monitors sounded an alarm. Sharonï¿½s nurse rushed into the room, the alarm was quickly silenced and the nurse left. I continued the visit, reminding her that she could feel free to go whenever she was ready. I said good-bye, knowing it would be the last time, and I left for home. I was a witness. I beheld a sacred journey. It was an honor. I felt humbled. I felt immense gratitude. I felt awe. I felt Divine connection! That night, I was suddenly awakened at 3:00 A.M. My body just sat right up and I felt her presence. The next morning I called the hospital and was told that Sharon had passed at 3:00 A.M. The call confirmed what I had sensed. A soul partner had left this plane of existence. I was so happy she was out of pain, and, at the same time, I was in mourning. Our relationship was so deep, beyond words, beyond worlds. Later that day, I scheduled an appointment with a body worker. I had worked with this practitioner for many years, but this was the first time I had ever heard him hum during a session. As I listened to his humming, it struck me that he was humming the very same niggun that became Sharon's, the one I had learned just before my first visit with her; he was humming the same exact tune I had sung to Sharon over and over again during each visit. I was of course surprised and asked if he knew this melody. He shrugged and said he didn't know it at all, actually it just came to him. Needless to say, I broke out in tears, knowing that Sharon was reaching out to me from beyond. I felt she was now bridging the worlds for me, and I knew beyond a shadow of a doubt that my life had continued to shift. And in fact, my life has become deeper and richer ever since this very powerful experience. Following this and other enlightening experiences, I began a music and healing group with the goal of bringing music to the bedside. It eventually evolved into a workshop called Healing through Sacred Song and Movement, which provided people with a safe place to explore their own healing processes, a practice I have since incorporated into my current workshops and programs as well as my private healing sessions. Many years have since passed. At this point in my journey, it gladdens me to work at guiding, motivating, teaching and inspiring as many as I can through their life journeys as I hold them in Divine love. I work to thereby act as a guide through life's bumps, life's transitions and celebrations, while acting as the guardian of the soul. In addition, it is my pleasure and my privilege to assist others in finding their specific purpose as they walk the path of self-exploration, and to help them discover their passions and their dreams. May the Divine Wings of Light wrap around you and hold you always. May you feel loved, safe, comforted and supported in all that you are. May the Holy One of Blessing give strength and wisdom to us all, that we may be a beautiful vessel for ourselves and for others. I open my heart and bless you with the light and love of the universe.